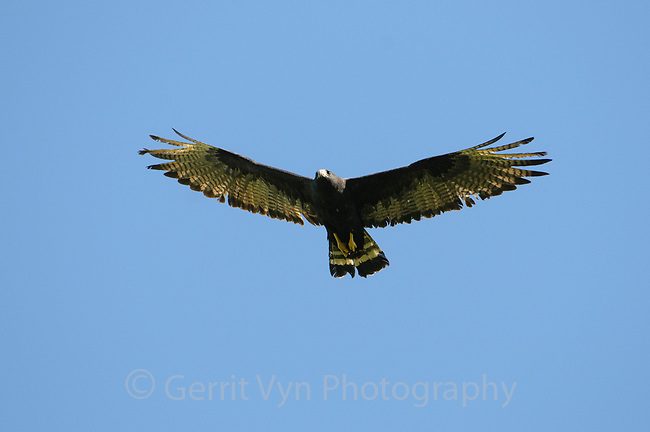 Adult Zone-tailed Hawk (Buteo albonotatus) in flight. This hawks dihedral flight style is believed to mimic the Turkey Vulture to take advantage of prey that is desensitized to the presence of vultures. Santa Cruz County, Arizona. May.